Abstract: The recently developed S-transform (ST) combines features of the Fourier and Wavelet transforms; it reveals frequency variation over both space and time. It is a potentially powerful tool that can be applied to medical image processing including texture analysis and noise filtering. However, calculation of the ST is computationally intensive, making conventional implementations too slow for many medical applications. This problem was addressed by combining parallel and vector computations to provide a 25-fold reduction in computation time. 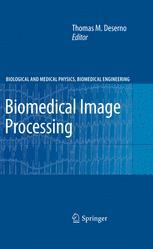 This approach could help accelerate many medical image processing algorithms. Eklund, Anders; Dufort, Paul; Forsberg, Daniel; LaConte, Stephen M.